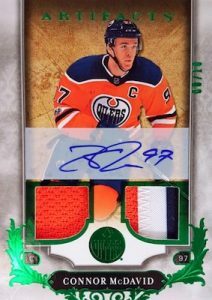 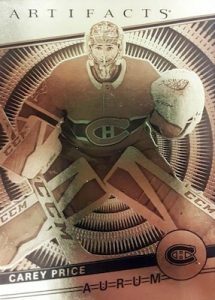 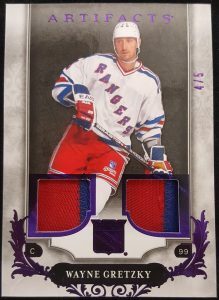 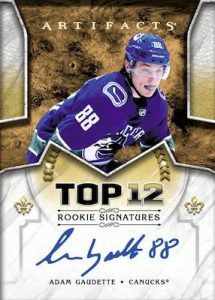 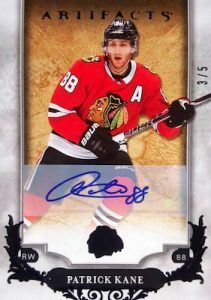 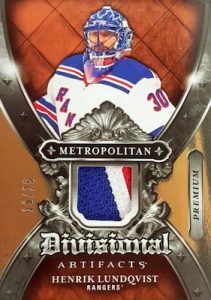 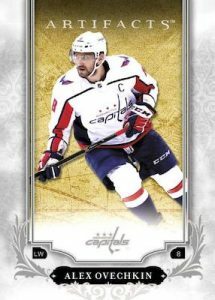 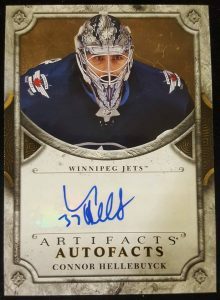 2018-19 UD Artifacts - Hockey Card Checklist	Overall rating:	5	out of 5 based on 1	reviews. 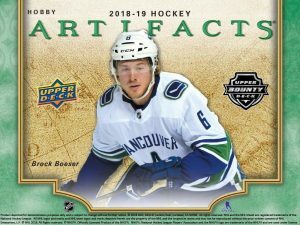 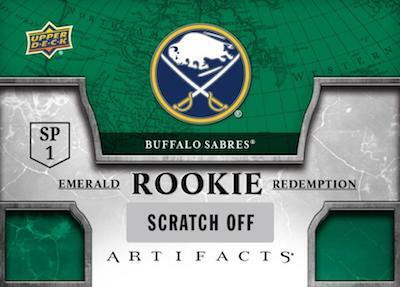 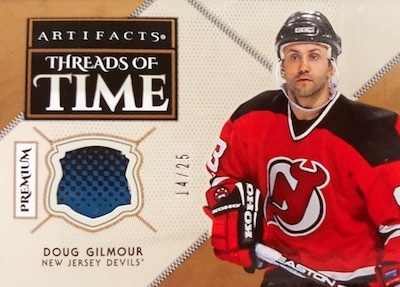 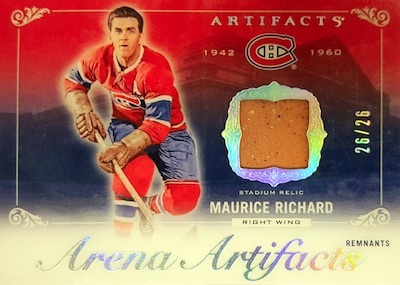 2018-19 UD Artifacts kicks off the start of a new collecting season for hockey fans. 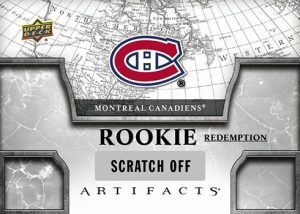 The product is the first real chance to get their hands on the newest crop of rookies, as well as a multitude of hits. 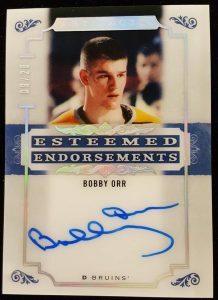 Artifacts offers up several different autograph and memorabilia sets, plus the ever popular rookie redemption sets. 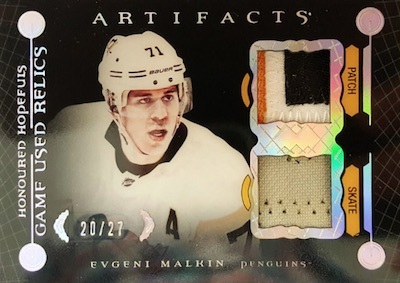 The UD Bounty program returns for another year with the Aurum Insert set. 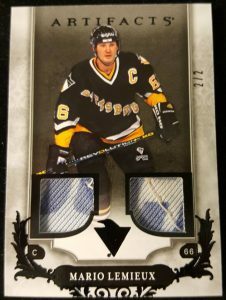 Collectors who collect all 48 Aurum cards will win 2 short printed Aurum cards, while the first 25 collectors to complete and redeem the set will win a 9 card white Aurum set that includes a Wayne Gretzky autograph. 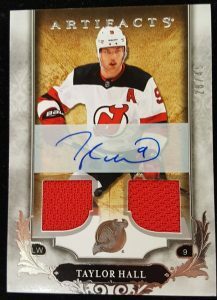 For a full team-by-team breakdown of all the hits, checkout Breakninja.com.